Cyalume Technologies has been the world leader in chemical light solutions for more than 40 years. 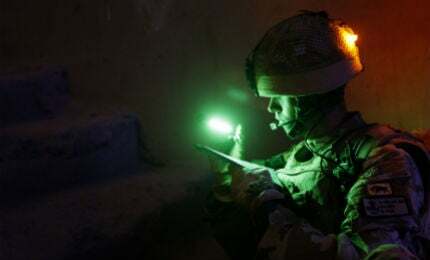 Extensively used by military forces around the world, the company’s ChemLight® lightsticks allow users to mark, signal and identify. 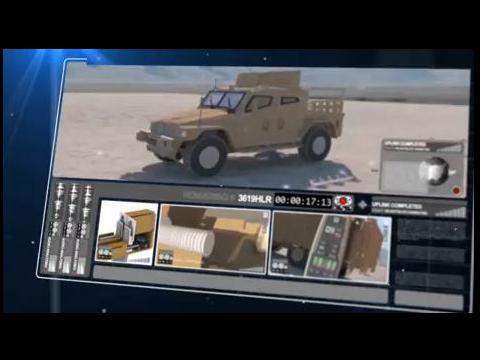 As a key player in the tactical light market for soldiers, Cyalume recently expanded its expertise by offering other tactical training devices (IED Training Explosion Simulators) and safe lane marking system (Razorback). The Razorback™ System is the latest innovation in route clearance safe lane marking that is visible in day, night, and during blackout operations. The Razorback™ device, mounted on any type of tactical armored vehicle, contains LightShape® circle markers that will be activated and dropped off on the safe lane to mark it once cleared. The product is simple to install to nearly any vehicle type and can be controlled from inside the vehicle cabin. 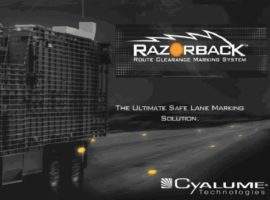 Robust, it utilizes an already battle-proven technology based upon the Cyalume® ChemLight®, for unmistakable safe lane marking. The Razorback™ can be set on a variety of speeds to accommodate differing terrain conditions and levels of visibility. 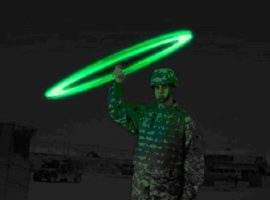 The LightShape® circles are available in five visible colors, as well as infrared for covert marking capability. IED training explosion simulators are used by military, law enforcement forces and security services in training exercises, under realistic but safe conditions. They prepare trainees to face modern combat and counter-terrorist / security operations . Cyalume Technologies’ devices are non-pyrotechnic (except for the HG1 Hand Grenade which contains a small Class 1.4S pyrotechnic), programmable and are used to replicate the smoke and noise signatures of explosions for training and preparation for battlefield and hostile urban environments. The explosion simulators utilize CO2 or compressed air, rubber tubes and an inert powder available in several different colors. Simulated weapon systems include hand grenades, anti-personnel landmines, suicide bomber vests and a variety of IED’s. 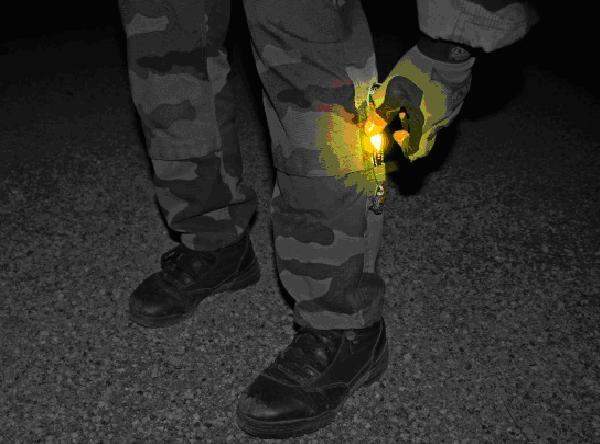 Cyalume’s military ChemLights® contribute to FP and night operations, by offering simple solutions that help with mitigating the risks and hazards of the battlefield at night or in limited visibility conditions. Cyalume’s wide range of innovative products for the military include, but are not limited to, ChemLights® with various durations, sizes, shapes, light intensity, in visible colors or infrared, as well as accessories. They are perfect to be included in survival, first aid, evacuation or medical kits. Suggested applications for the firm’s lighting devices include obstacles or minefield marking, as well as vehicle / convoy identification, route marking, clearing areas, traffic control visibility at night, evacuation and egress route lighting. 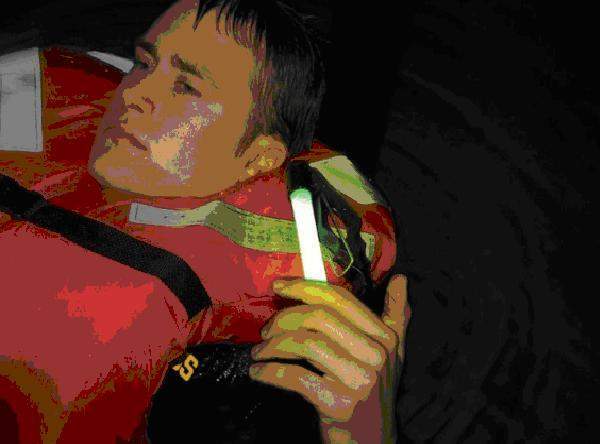 Hazard markers and search and rescue operations could also be used. 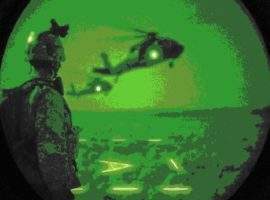 Cyalume offers a large array of markers for helicopter landing zones, drop zones (bundle drops), both in visible or infrared light, which are very helpful during night missions. The firm also supplies a range of medical triage markers to categorize the wounded in dark environments (MEDEVAC operations). 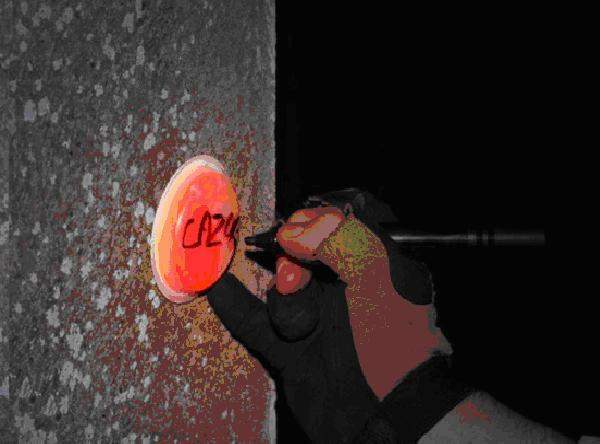 These circular or rectangular markers can also be used for room clearing, trail marking, chemical, biological, radiological and nuclear (CRBN) and vehicle / personnel identification. Cyalume products are registration, evaluation, authorization and restriction of chemicals (REACH) compliant and have a patented formulation without phthalates. ChemLight® products are also ATEX-certified and can be stored in areas that contain combustible mixtures of gases or liquids. With ISO 9001-certified factories in the US and France, Cyalume guarantees the highest quality standards. The unique production process meets and exceeds military specifications, making Cyalume the sole manufacturer authorized to display NATO stock numbers (NSN), on all ChemLight® brand products. The IR reflective patch can be used for covert combat identification. To the naked eye they do not glow, however, when illuminated with an IR source, a bright reflection can be clearly seen at extremely long distances. Cyalume’s IFF patches provide identification for both day and night operations. This range of products is completed by different reflective and photoluminescent products, such as adjustable PT-Belt with velcro and loop, adhesive tapes and reflective identification patches with numbers that can be used in identification of individual / key personnel and equipment of teams. ToTaL IR™ is a non-toxic, infrared (IR) powder in brown or concrete color which can detect intrusion into restricted areas, and shows the direction traveled. 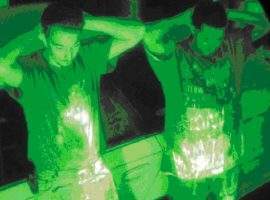 After mixing two powders, an immediate and powerful infrared emission occurs for three to seven days, depending on the environment. ToTaL IR™ can be used to tag shoes, tires, clothes, money, weapons, contraband etc., allowing intelligence-gathering. The powder is only visible with night vision equipment, however. Cyalume Technologies SAS, as part of the Cyalume Technologies Holdings, has been a world leader in chemical light solutions for more than 40 years. 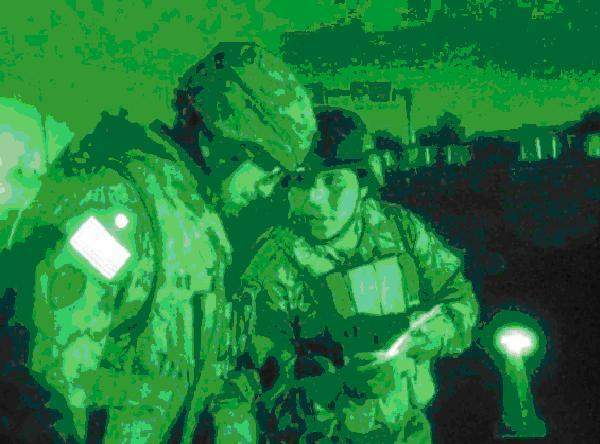 Proven effective by military forces worldwide for over 40 years, ChemLights enhance both night time tactical operations and training safety. A look into some of the technologies provided by Cyalume. 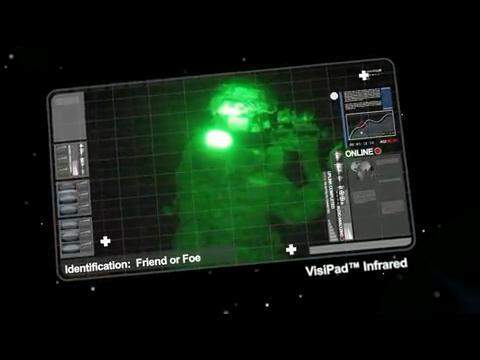 Information on how Cylaume’s VisiPad infrared (IR) and visible identification solutions can aid the defence industry. 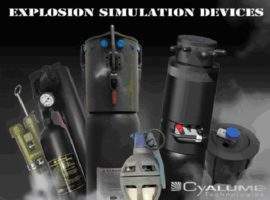 A vast range of tactical training simulators (IED simulators) are offered by Cyalume Technologies. 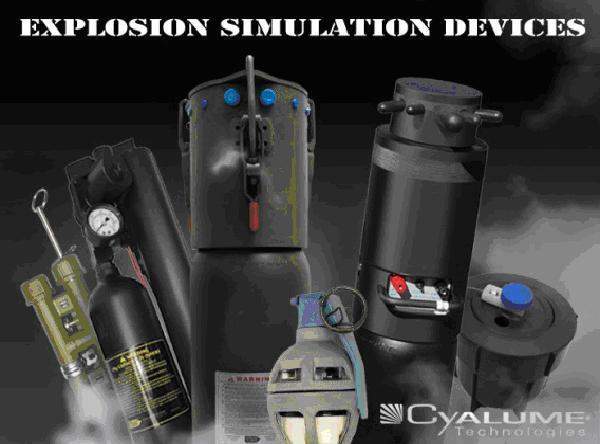 Cyalume Technologies SAS, the French subsidiary of Cyalume Technologies and the world leader in chemical light solutions for more than 40 years and manufacturer of non-pyrotechnic battlefield effects simulators, will exhibit at MILIPOL 2013 in Paris from 19 - 22 November 2013, booth 5R034. Cyalume Technologies SAS, the French subsidiary of Cyalume Technologies, will exhibit at DSEI 2013 in London from 10-13 September 2013. Cyalume Technologies Holdings has announced that its president and CEO Zivi Nedivi will be addressing institutional investors at the Marcum 2nd Annual MicroCap Conference, on Thursday 30 May. Cyalume Technologies Holdings today announced preliminary expectations for the 2012 fourth quarter and the full year, as well as its initial outlook for 2013. Cyalume Technologies Holdings today announced the appointment of Dale S. Baker as its chief operating officer, effective September 10, 2012. LumiSafe Ltd, based in Bristol, in the South West of England, has provided train company Heathrow Express with 366 Cyalume Model 4 LightStations as part of the rail provider's £15m investment directed at the upgrading of their fleet. 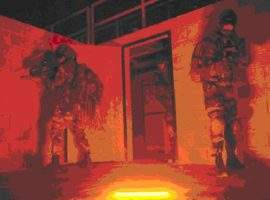 Cyalume Light Technologies has released a new white paper exclusively at Army Technology.